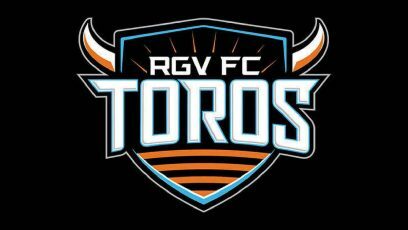 For the third time in four matches this season, the RGV FC Toros held a second-half lead. And for the third time, the Toros let that advantage slip away, losing 3-2 to Seattle Sounders FC 2 on Saturday at Cheney Stadium in Tacoma, Washington. The loss drops the Toros to 0-2-2 on the season. Seattle improves to 2-4-0. RGV FC entered Saturday’s second half with a 2-1 lead before Seattle’s Felix Chenkam scored his second goal of the match in the 66th minute. Rodrigue Ele found Chenkam streaking down the right half of the penalty box, and his sliding chip went over RGV FC goalkeeper Matt Sanchez for the equalizer. Seattle converted the decisive strike in the 82nd minute, when 16-year-old Azriel Gonzalez netted his first professional goal. Denso Ulysse’s sinking shot from about 20 yards was saved by Sanchez on a dive to his right, but the rebound spilled into open space near the back post. Gonzalez charged through the box for the point-blank finish. Chenkam also scored the opening goal for Seattle in the first minute. As the Sounders charged forward on the counterattack, Shandon Hopeau took possession deep on the right edge of the penalty box and sent a rolling pass to Ray Saari, who had space in the middle of the right half of the penalty area. His soft chip to the far post was headed home by Chenkam from just a few feet away. Matias Zaldivar leveled the match for RGV FC in the 22nd minute. The Sounders were playing the ball through their back line when former Toros keeper Calle Brown was slow to pass, allowing Zaldivar to knock the ball away with a slide tackle. Alone in the penalty box, Zaldivar had plenty of time to get to his feet and roll a shot into the open net. The Toros poked ahead during first-half stoppage time. RGV FC’s Victor Garza attacked down the right wing and sent a cross into the box, and Guillermo Delgado knocked it into the net on a half volley from about 6 yards. RGV FC created plenty of pressure in the dying moments. Zach Wright sent a dangerous crossing attempt through the box in the 89th minute. Todd Wharton’s shot from about 35 yards was saved on a bounce in the 90th minute, and Kai Green’s sliding effort to convert the rebound was also snuffed out. In stoppage time, Delgado put a left-footed shot from the top of the penalty box just over the crossbar. For the game, RGV FC outshot Seattle 17-10, including a 6-5 edge in shots on target. RGV also earned 11 corner kicks to Seattle’s five. The Toros will stay on the road and be back in action at 9 p.m. Wednesday with a match against Portland Timbers 2.